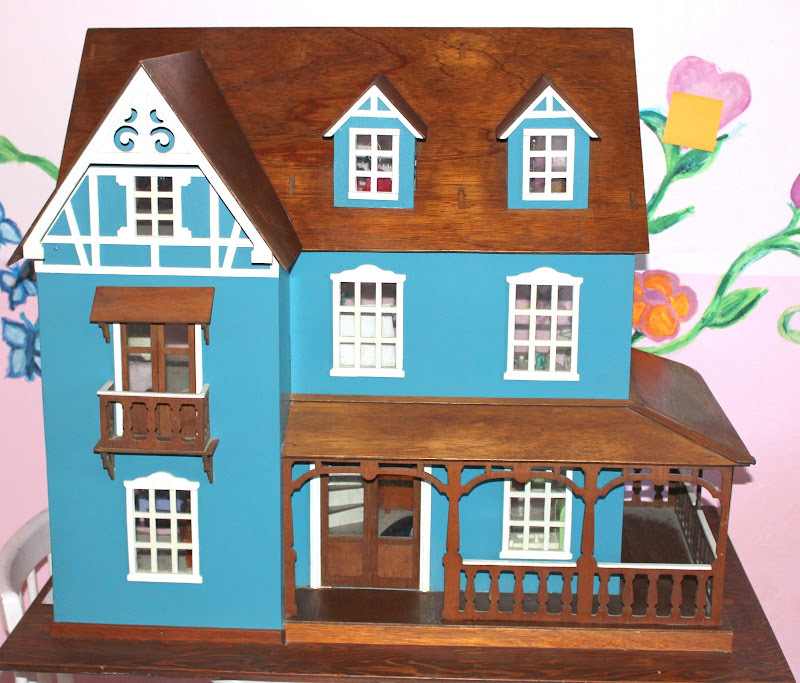 When I was 10, I was given this dollhouse for my birthday by my father's friend. I have treasured it all these years and was elated that I have a daughter who has been able to play and treasure the same heirloom. 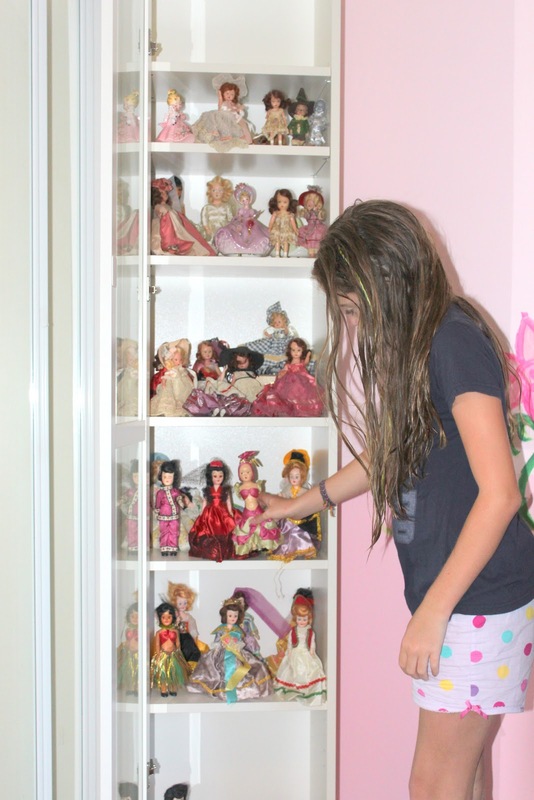 I had a pretty extensive doll collection growing up. 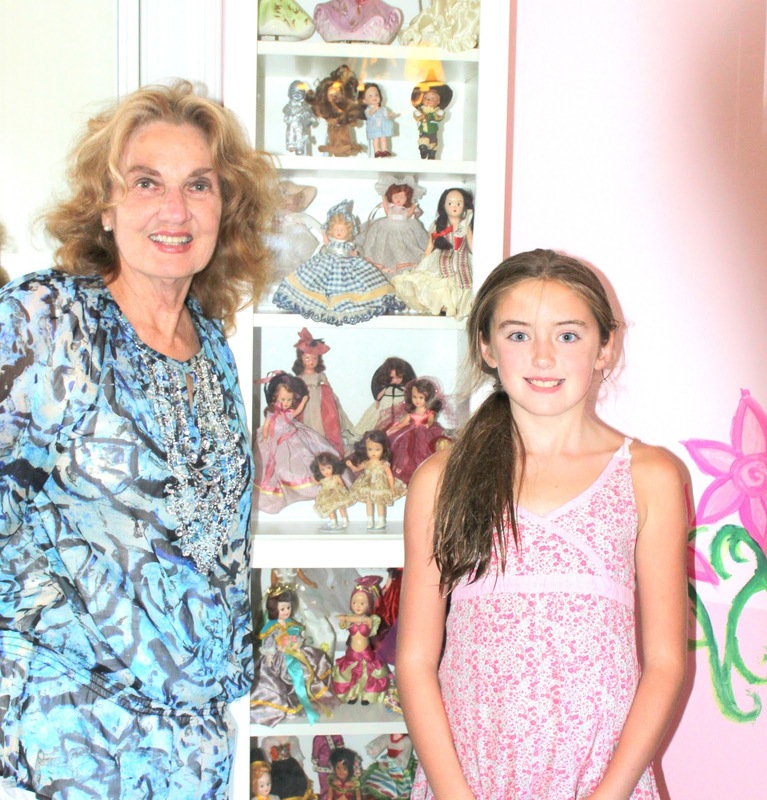 My grandmother bought me dolls, and I also had my mother's and grandmother's. For years I have struggled with how to display them in Chelsea's room. We finally came up with a simple cabinet that Matt put together for us. Thanks Matt!!! Chelsea and I freshened up the dolls a bit. Some of the dolls are over 100 years old and are in need of repair. 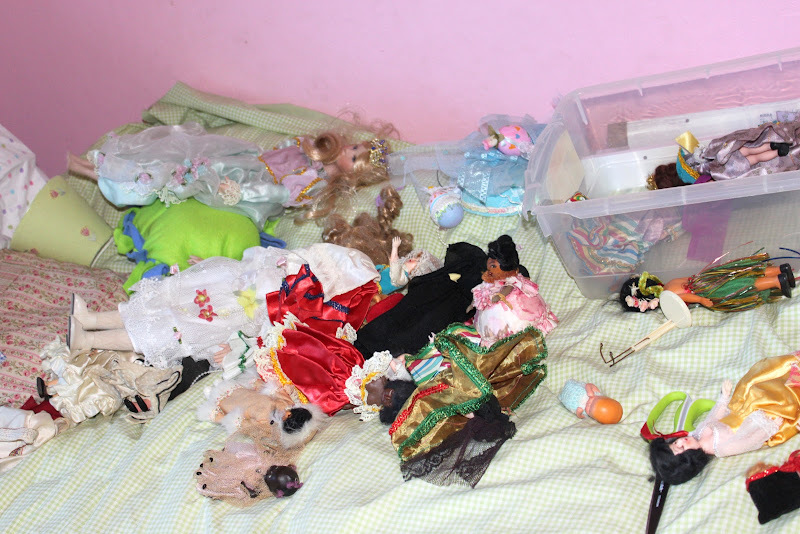 We steamed clean all the doll's dresses. It was exciting to look at all the dresses on the dolls and guess which country they were from. 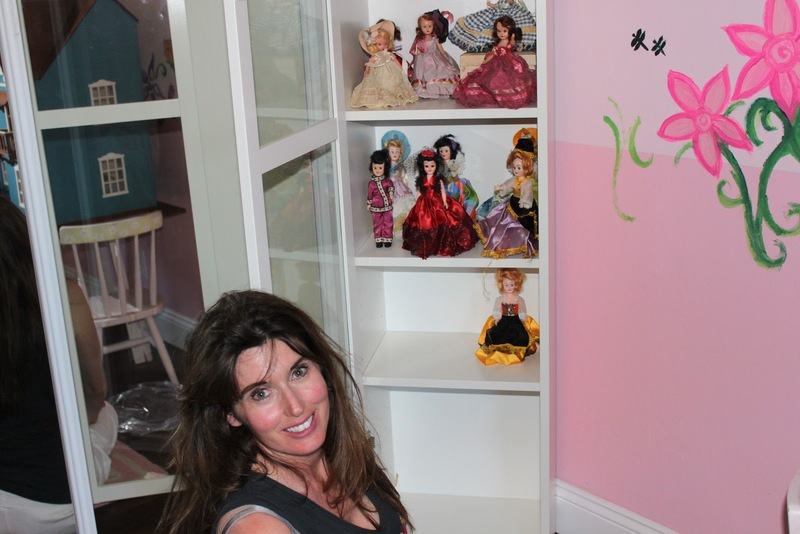 Chelsea was pleased as punch to have the dolls in her room. 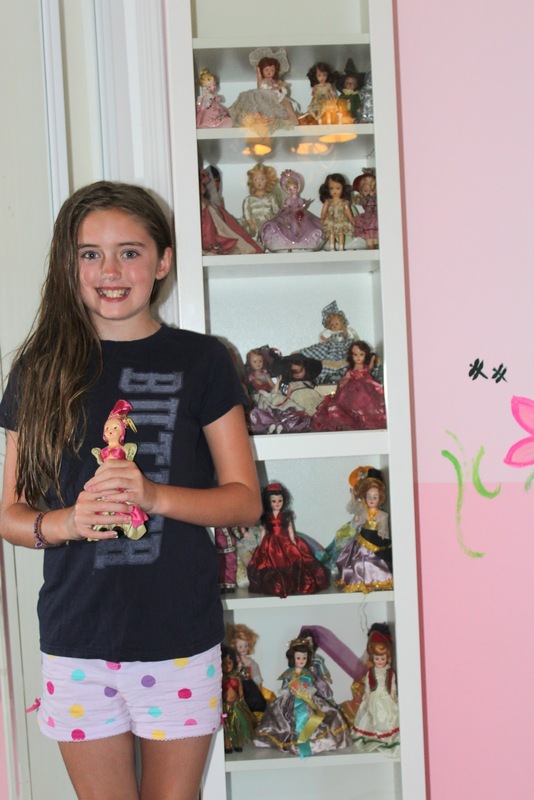 I asked her what dolls are her favorite and she chose the same ones that were my favorite when I was younger. Grandma thought it was fun to see her childhood dolls again. So exciting for Chelsea to be able to see and touch some amazing heirlooms from her mother, grandmother, and great-grandmother.